Dystopian Dream is created from a concept originated by composer Nitin Sawhney and co-devised with Honji Wang and Sébastien Ramirez. 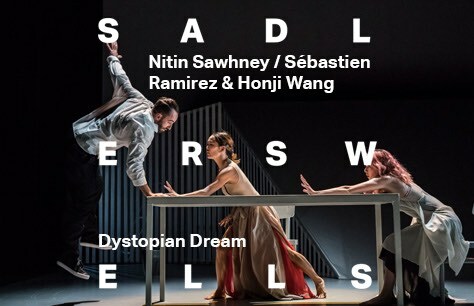 Taking inspiration from threads woven through Nitin Sawhney’s album of the same name, this stage interpretation directed by Wang Ramirez, combines choreography, live music and theatre to examine themes of loss, isolation, surrender and continuity. Featuring animated projections by Nick Hillel, costumes by Hussein Chalayan, lighting by Natasha Chivers and set by Shizuka Hariu, Dystopian Dream is performed by Ramirez and singer Eva Stone in a stunning visual spectacle guaranteed to delight the eyes as well as the ears.